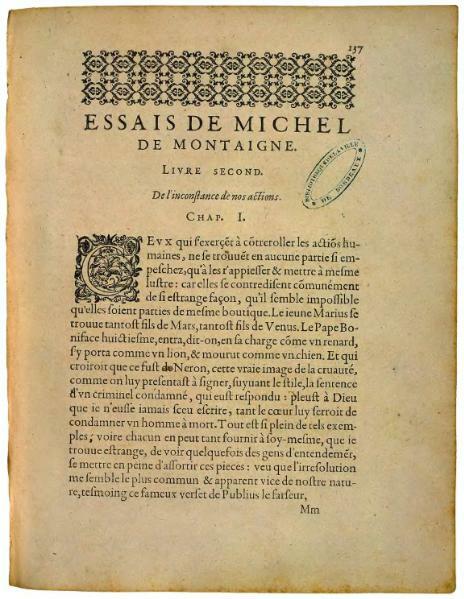 Michel de Montaigne's Essays laid the foundation for the literary genre of essays. Montaigne's famous phrase "Que sais-je? ", used in the essays, was emblematic of the self-doubt, uncertainty, and skepticism exercised throughout the essays and unseen to any real degree prior to this work. This should come as no surprise given that the content of the Essays grapples with an extremely wide range of topics, all centered around the exploration of truth, reason, and human nature. The work remains one of the most important in all of French philosophy.